The Xbox One is right around the corner, but Microsoft hasn’t given up on the current genration just yet. Microsoft began its E3 press conference by talking about the Xbox 360, with the company’s Yusuf Mehdi pointing out that there’s still plenty to be excited about for the platform. First, Mehdi announced a new design for the 360, which is available starting today. The new design, the third in the console’s lifespan, has a “modern look and feel consistent with the Xbox One design,” Mehdi says. 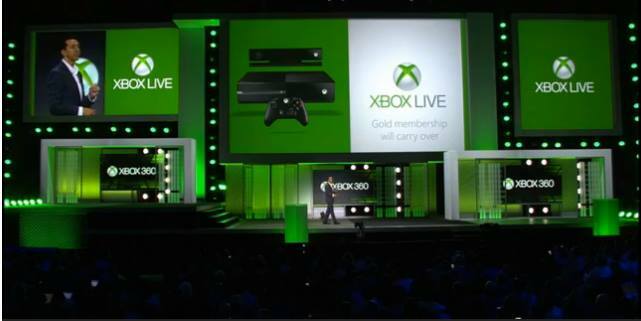 Mehdi also revealed changes coming to Xbox Live Gold starting next month: Taking a page out of PlayStation Plus’ book, two free games will be available to Gold subscribers per month starting July 1 and continuing through the Xbox One launch. Mehdi confirmed two of those games would be Assassin’s Creed II and Halo 3, although whether those will be the two games available in July or if they’ll be available somewhere else down the line is unknown. Mehdi also noted that “hundreds of new games” are coming to the 360 in coming months, highlighting big blockbusters like Grand Theft Auto V and Batman: Arkham Origins. Microsoft also confirmed that World of Tanks is coming exclusively to the Xbox 360, developed from the ground up for the system. Max & the Cursed Brotherhood was also shown off.